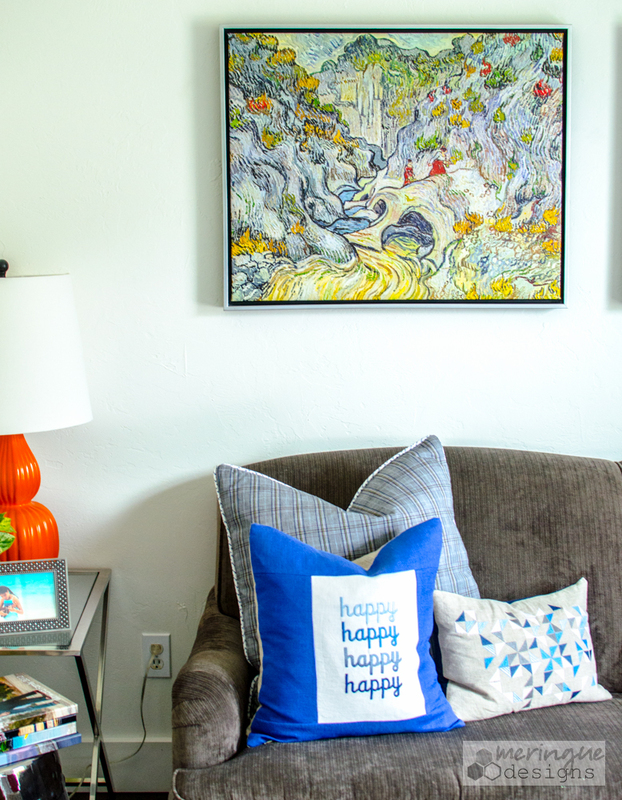 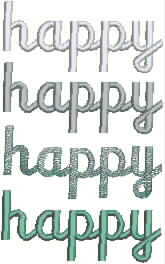 An ombre effect for the word 'happy' is great for home decor, tote bags or clothing. 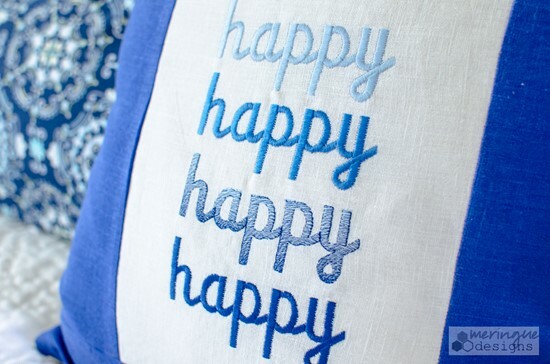 Three of the words are a basic satin stitch but the 3rd one down is a filll stitch made up of two colors. 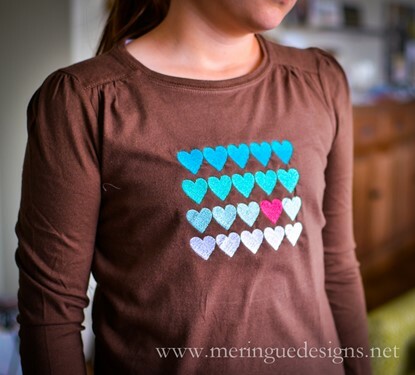 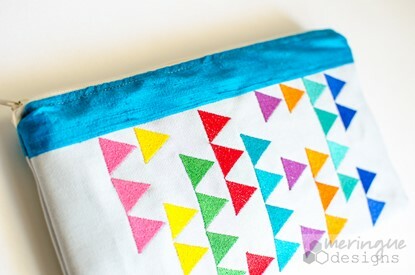 To stitch this design you will need three shades of the same color. 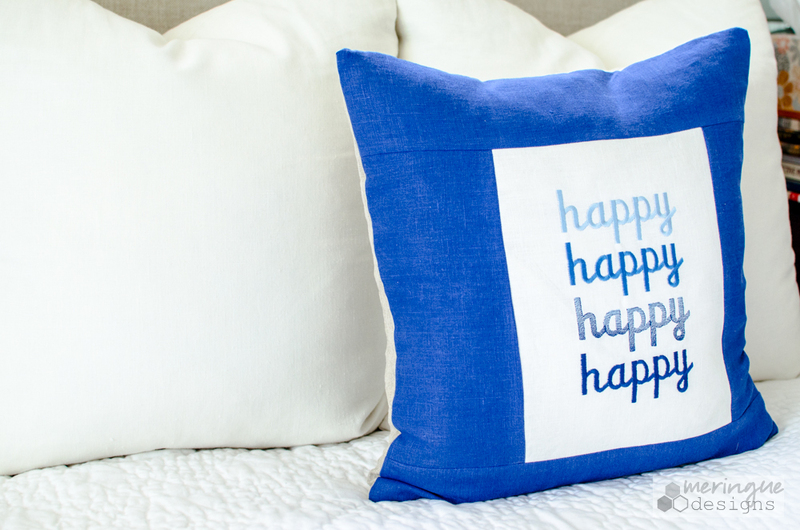 The last photo posted shows the blues used for the pillow. 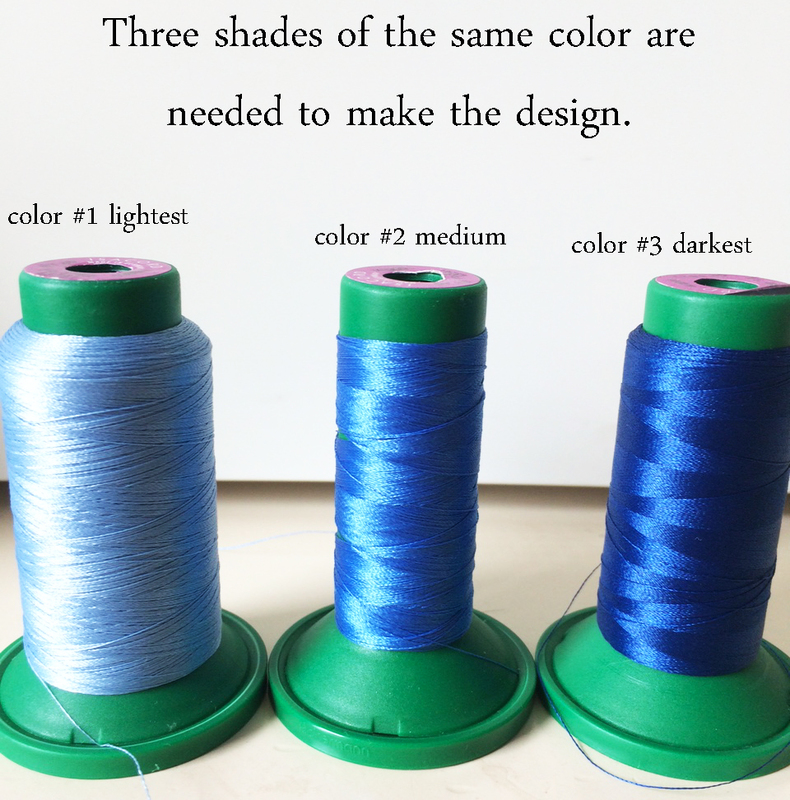 Color #1 is the lightest, color #2 is medium, color #3 is the darkest. 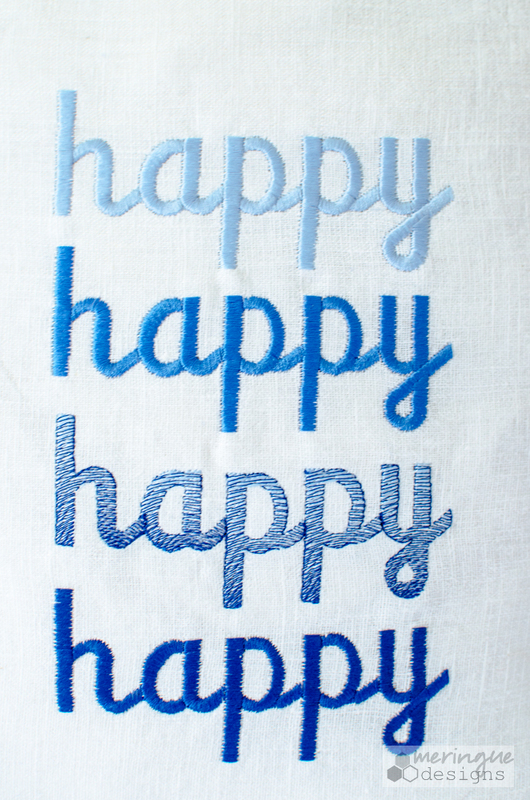 The third 'happy' on the pillow is made up of color #1 and color #3.
stitch in various shades of one color for an ombre effect.